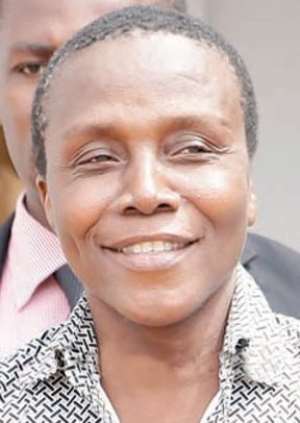 An Accra High Court hearing the case involving Gregory Afoko, accused of murdering the former Upper East Regional Chairman of the New Patriotic Party (NPP), on Thursday adjourned the hearing to March 1 and 2. The court was compelled to adjourn the case after holding discussions with both the prosecution and counsel for the accused in chambers due to an assertion by Awafo Akelesiya, the sixth prosecution witness that his evidence in chief was being misinterpreted by the new Frafra interpreter. Justice L. L. Mensah, presiding, after the discussions, later informed members of the jury of the adjournment of the case. Earlier, when continuing his evidence in chief, the witness told the court that it was in Bolgatanga towns at Azonsolou Guest House, where the accused met the youth of the party and told them that, they should unite and support Mr Paul Afoko and Kwabena Agyepong's candidature as Chairman and General Secretary respectively. At the previous sitting, when the witness begun his evidence in chief, the prosecution told the court that the witness would speak Frafra. Thereafter the Court asked Gregory Afoko whether the witness can speak English, which he confirmed. He said, 'I know the witness very well and he can speak English'. The Prosecution intends to call 10 other witnesses, in addition to Hajia Adams, Madam Issaka, Quinn, Taufic and Dominic. It is alleged that Afoko carried out the act with Alandgi Asabke, who is on the run. A third accomplice, Musa Issa, was granted bail after the Attorney-General opined that there was not enough evidence to prosecute him. On February 23, 2016, an Accra District Court committed Afoko to stand trial at the High Court to answer to the charges against him. The State at the committal proceedings tendered more than 17 exhibits in respect of the trial. The exhibits include Afoko's caution and charge statements as well as a post-mortem report on the deceased, conducted by Dr Lawrence Edusei; a medical report on the deceased's wife, who also sustained injuries in her bid to assist her husband when the incident occurred. Other exhibits are a gallon containing the alleged residue of acid found at the crime scene, a cup believed to have been used by the assailants in pouring the acid on the deceased, the deceased's pair of shoes and attire, and a piece of carpet from the deceased's car. The rest are various reports from the Ghana Standards Authority (GSA), a pair of blue-black tracksuit belonging to Afoko and photographs of the crime scene. The Prosecution is being led by Mr Nicolas Amponsah, Chief State Attorney, who told the Court that Mr Adams was a contractor and lived at the Bolgatanga SSNIT Flats in the Upper East Region and was also the NPP Regional Chairman. According to Mr Amponsah, Afoko also lived in Bolgatanga and was the younger brother of Mr Paul Afoko, a former National Chairman of the NPP. The State said the accused was also a party activist, and was close to Mr Adams. On May 20, 2015, Mr Adams left his house to his construction site in his pick-up truck with registration number NR 761-14. The Chief State Attorney said he returned to the house in the night and at the entrance of his house, two men signalled him to roll down the window of his car. He obliged. However, the two men poured acid on him and fled on a motorbike. Mr Amponsah said Mr Mahama shouted for help and his wife, Hajia Zenabu Adams went to his aid. He said Mrs. Adams also sustained burns on her chest and breast in her bid to assist the victim. According to Mr Amponsah, Adams told his wife that it was Gregory and Asabke, who poured the acid on him. He also mentioned the two accused persons, in the presence of neighbours, as those who poured the acid on him. The Chief State Attorney said Mr Adams was rushed to the Intensive Care Unit of the Bolgatanga Hospital, but he passed on. Afoko was picked up at about 0200 hours in his house and he led the Police to Asabke's house. Asabke was, however, not available. A post mortem conducted on the deceased by Dr Edusei indicated that Adams died of extensive acid burns.